Tech workers, like artists, can be useful for property developers to follow when they are seeking the “next big thing”. They will scrutinise, for example, the real estate investment opportunities prompted by the Cambridge to Oxford railway line and “tech corridor”, which was promised a funding boost in the autumn statement last week. They will also consider where the extra 500 workers that Facebook plans to hire for its new London headquarters in Fitzrovia, will live, as well as those commuting to the new Apple headquarters at Battersea Power Station. Where the geeks go, the builders will often follow. 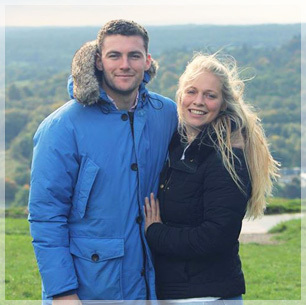 Look at Reading, for example, where a thriving tech industry has caused property prices to rise by nearly 60 per cent in five years, according to the crowdfunding platform Property Partner. Or Berlin, which has created 11,000 jobs in the tech sector since 2011 and where house prices have increased 5.6 per cent a year for the past five years, according to UBS. Could Praga, a previously shunned and crime-ridden pocket on the Warsaw right bank, be next in line? For several years the city has been dubbed “the next Berlin”, largely due to renovations and tech start-ups in Praga (and the nightlife that has sprung up around it) combined with a growing appetite for commercial and high-end residential space in the city centre. Last year Google Campus, a start-up support project set up in London in 2012, chose Warsaw as its fifth global destination after London, São Paulo, Seoul and Tel Aviv (and followed by Madrid). 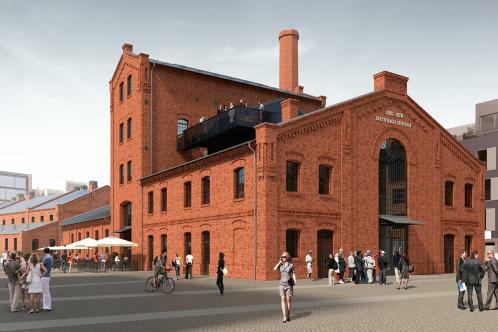 It is based in the former vodka factory site Praga Koneser — the largest mixed-use development in Warsaw. In the campus café, tech-savvy, MacBook-clutching entrepreneurs can sip espressos while discussing ideas, seeking funding and attending lectures or meet-ups. And, if they fancy it, buy a Manhattan-style loft apartment in the building next door. Praga is one of the few places in the city that was not razed by the Nazis. After the Warsaw Uprising in 1944 nearly 90 per cent of the city’s buildings on the left bank were destroyed, yet many on the right of the Vistula River remained standing. Over the years, set apart from the brutalist blocks of the Soviet-occupied city centre and the historic old town, the distilleries and factories of Praga were left to languish. After communism fell, and throughout the Nineties, artists began moving into cheap warehouse space, much as they did in east London. Start-ups followed as a result of the cheap rents. As in east London, a sports stadium was revamped in Praga, which led it to receive more attention from developers. The National Stadium, used to co-host the Euro 2012 football championship, was completed in 2011, followed by a new metro station near by (further extensions east of the river are also planned). Developers followed. Three years ago Praga Koneser launched its first phase of apartments, some of them refurbished from the original 19th-century industrial buildings and others spacious red-brick replicas with high ceilings and aluminium windows. All of them have sold, some of them to members of Google Campus, according to Michal Skotnicki, the president of BBI, the developer behind the scheme. He says that prices exceeded £2,000 a square metre. For reference, prices in the UK are on average £2,216 a square metre, according to data released this year by Halifax. For would-be buyers there is now phase two; 108 flats under construction (koneser.eu/en). “It’s a really lovely environment and it is going to be even more so when a food market, office space and a vodka museum open up on the site,” Skotnicki says. 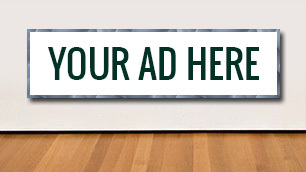 He adds that prices have risen by about 30 per cent in three years in Praga. 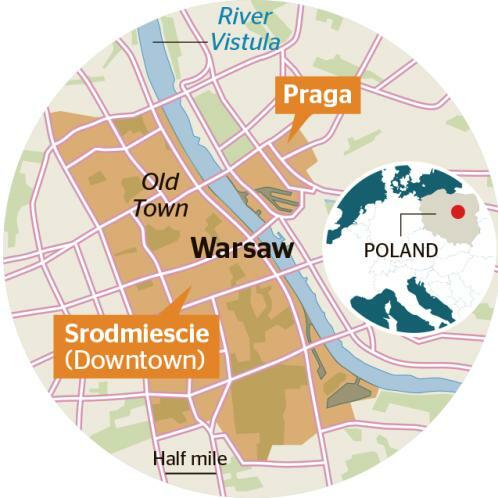 This compares with about 10 per cent growth in Srodmiescie, also known as Downtown Warsaw, on the left bank, where a flourishing office, retail, hotel and luxury apartment market has also been the focus of developers’ attention. Last year was a record-breaking year for the Warsaw residential market, according to analysis by the EY real estate group. In 2015 20 per cent more units were sold than in 2014 and the number of new-builds reached a record 86,500 flats. 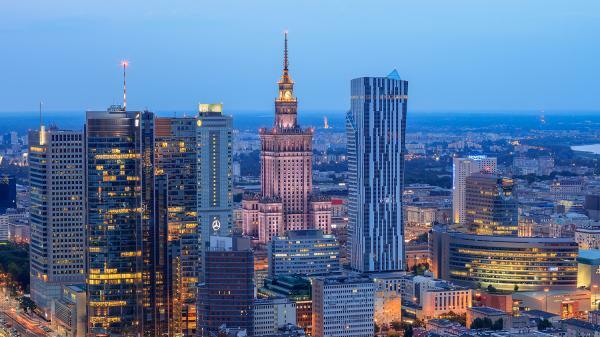 Yolande Barnes, the head of world research at Savills, says that Warsaw has benefited from a workforce that used to be cheap, prompting businesses to invest, but is now better known for its quality. As the workforce changes, so does the type of investment. Demand for luxury accommodation in the city centre is growing. Zlota 44, designed by the renowned Polish-born architect Daniel Libeskind, the man behind the World Trade Center site, is an example of the appetite for such apartments. The 52-storey “Sail”, so named because of its distinctive curved shape, is one of the tallest residential buildings in Europe and has the largest amenities floor of any European residential tower. A 25m swimming pool overlooks the austere Soviet Palace of Culture and Science near by. About half of the apartments in the building have been sold. They range in price from £255,000 for a one-bedroom flat to £1.35 million for three bedrooms, while penthouses, by private negotiation, are about £7 million. Robert Lewandowski, the captain of the Polish national football team, recently bought a penthouse. Although many buyers are expected to live here, some are investors. 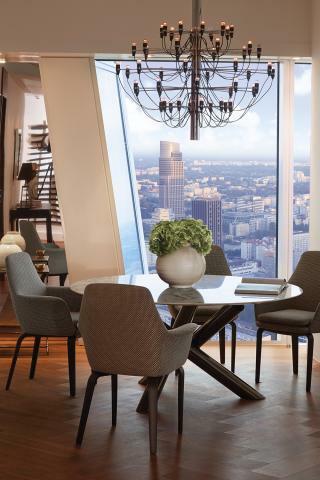 Savills puts high-end rental yields at this type of luxury flat in Warsaw at about 7 per cent. This is a lot higher than London’s 3 per cent for an equivalent property. All the property markets in the UK’s top tech hubs have outperformed their regional markets over the past five years, according to research by Savills for The Times. These are Cambridge, Reading, Oxford, Manchester and Southampton, with Cambridge at the top of the table. In that time, Cambridge’s property prices have grown by 61 per cent compared with the east of England’s average 45 per cent. Globally, Savills lists Austin, Texas, as the overall “best tech city”, which it says “punches well above its weight”, with high scores for quality of life and talent pool. 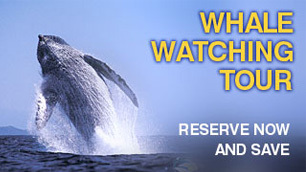 Other cities to make the list are, predictably, San Francisco, New York and London, along with Dublin, Berlin and Seoul.